Marylebone Luxury Duplex in London is an apartment building. A garden and a terrace are offered at Marylebone Luxury Duplex, which is situated in London, 600 metres away from Madame Tussauds and 1.5 km away from Regents Park. This property offers access to free WiFi. The apartment features a patio, 2 bedrooms, a living room and a well-equipped kitchen with a dishwasher and an oven. The apartment also provides a flat-screen TV with satellite channels and 3 bathrooms with bath. Cycling can be enjoyed nearby. Lord's Cricket Ground is 1.6 km from the apartmen...t. London City Airport is 17 km from the property. A garden and a terrace are offered at Marylebone Luxury Duplex, which is situated in London, 600 metres away from Madame Tussauds and 1.5 km away from... Regents Park. This property offers access to free WiFi. The apartment features a patio, 2 bedrooms, a living room and a well-equipped kitchen with a dishwasher and an oven. The apartment also provides a flat-screen TV with satellite channels and 3 bathrooms with bath. Cycling can be enjoyed nearby. Lord's Cricket Ground is 1.6 km from the apartment. London City Airport is 17 km from the property. 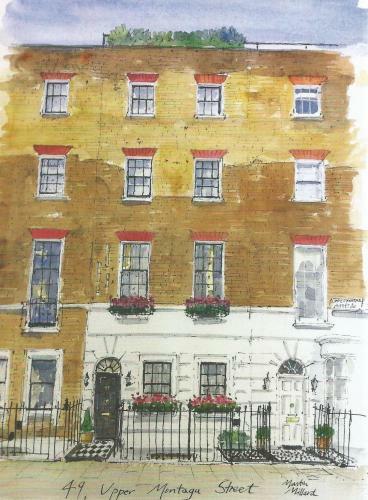 When would you like to stay at Marylebone Luxury Duplex?